Mr. Chester Arthur Dunham departed this life on Sunday, March 31, 2019. Chester was born June 16, 1935 to the late Frank and Estella Dunham. A native of McIntosh County, Dunham attended the public schools of McIntosh County. Director. Dunham served many years as president of The Harris Neck Land Trust. There, he adamantly fought to recover land stolen from his family and the community of Harris Neck, his hometown. 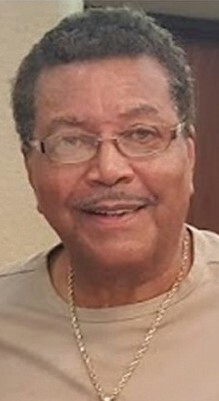 He served as President of the A. Philip Randolph Institute of Savannah, Georgia and as political chair for Geo-Vista Credit Union. Dunham lived his life fighting for the rights of common people, giving a voice and fighting against oppression and suppression. Dunham was also widely known as the creator and host of “The Dunham Report”. He was husband to the beautiful, Antoinette Robinson Dunham. He stood as a stoic role model for his children and grandchildren. Funeral services were held Tuesday, April 9, 2019 at First African Baptist Church located at 23 Montgomery Street. Rev. Thurmond Tillman is the Pastor.